Get $75 Bill Credit. Limited time offer. Get $75 Bill Credit = $50 for new customer + $25 for customizing plan. Limited time offer. $50 Gift Card When You Sign Up for Email. Limited time offer. 50% off 4 boxes of checks，30% off 2 boxes.Coupon code working properly. Get $50 Bill Credit. Limited time offer. Enjoy 25% off any order + free shipping.Limited time offer. Buy 1 and get 1 free boxes of checks. 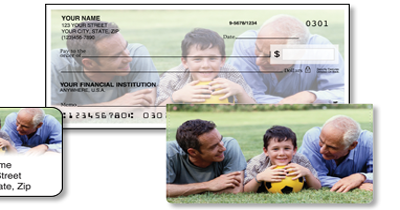 First box of checks for $4.95, 2 boxes for $5.05, or 4 boxes for $12.Limited time offer. Get up to 87% off all orders + free shipping. Restrictions may apply. $50 Bill Credit for you and your friends by referring friends. Limited time offer. Enjoy 30% off accessories by using this code.Limited time offer. Save up to 75% and free shipping. Get $2 off your order for first time customers.Sign up first. Earn 3% Cash Back with On-Time Bill Payments. No coupon code required. You'll earn 1 AAdvantage® mile for each $1 spent on your Bounce bill. See website for more details. Build Your Own Plan at just 8.7¢/KWh. See website for more details. Enjoy everyday free shipping.No coupon code required. Click link to activate. Photo checks and accessories from artistic checks® from $19.95. Up to 50% off regular bank pricing + free standard shipping. Easy Fixed 3 Plan at just 8.9¢/KWh. See website for more details.